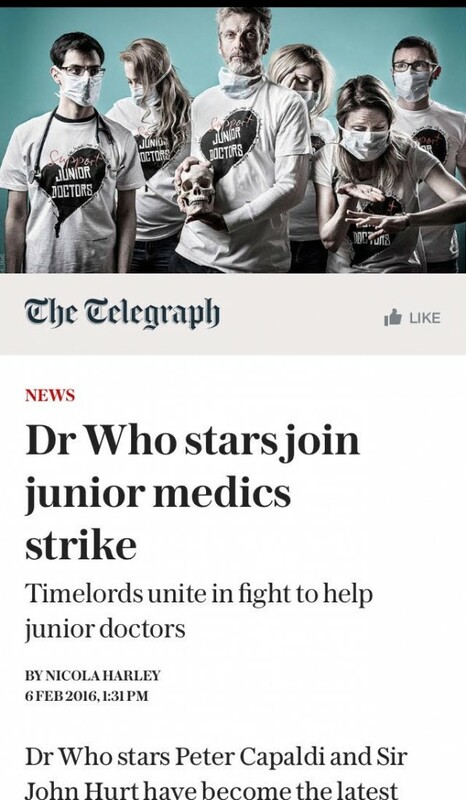 The Telegraph 06.02.2016/ Dr Who Stars Join Junior Medics Strike. 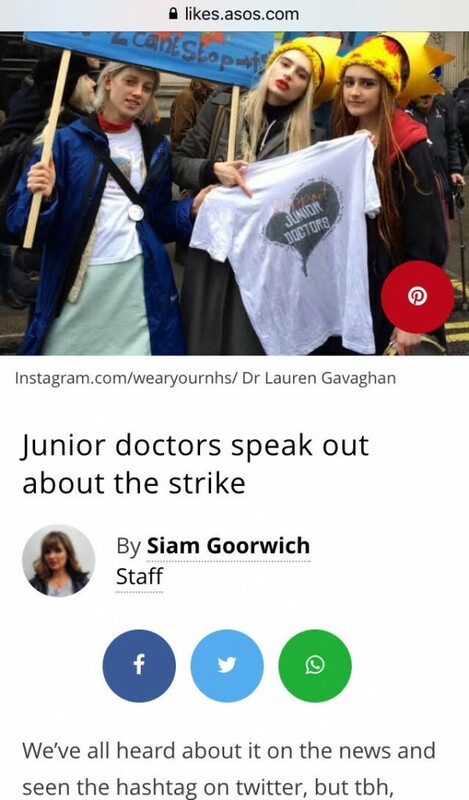 Timelords Unite in Fight to Help junior Doctors. By Nicola Harley. 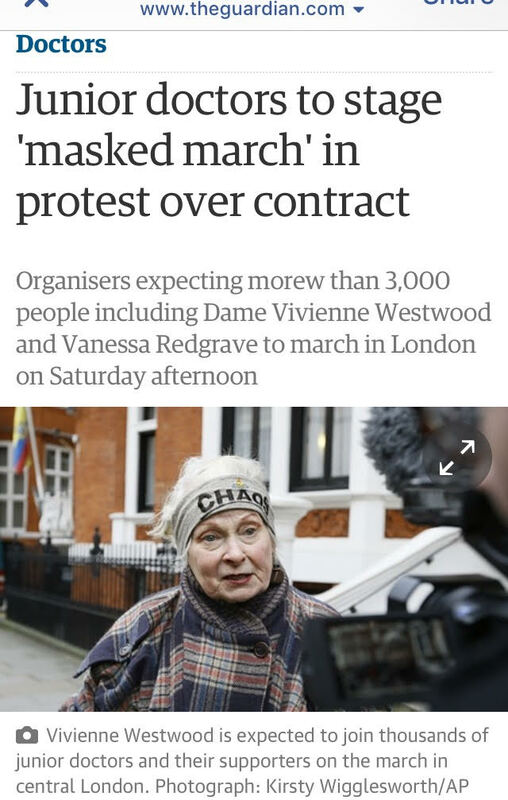 The Guardian 06.02.2016/ Junior Doctors To Stage Masked March in Protest Over Contract. Press Association. 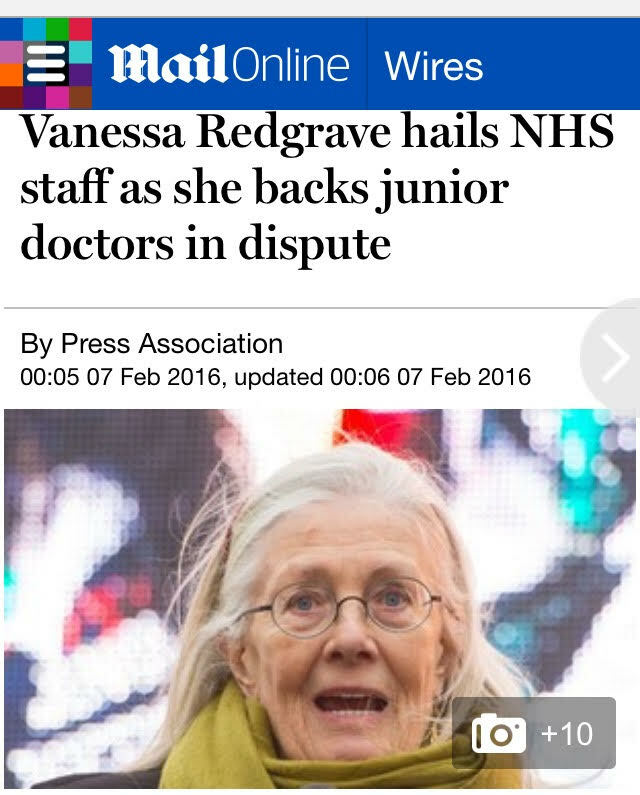 Peter Capaldi News.com 22.01.2016/ Peter Capaldi supports Junior Doctors #WearYourNHS campaign. By Andrea McGuire. 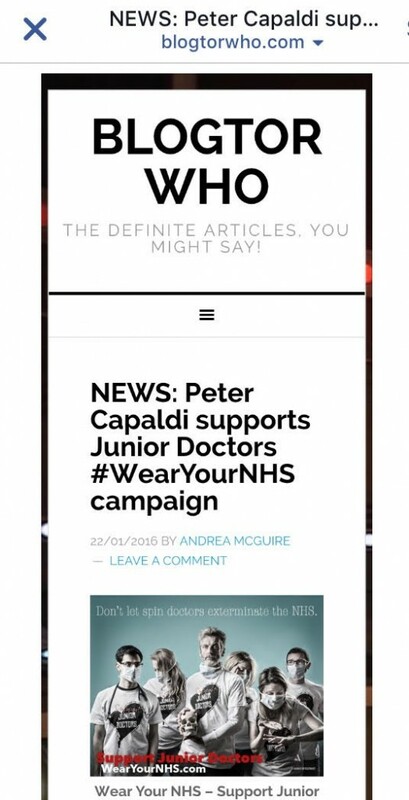 BlogTorWho.com 22.01.2016/ Peter Capaldi supports Junior Doctors #WearYourNHS campaign. By Andrea McGuire. 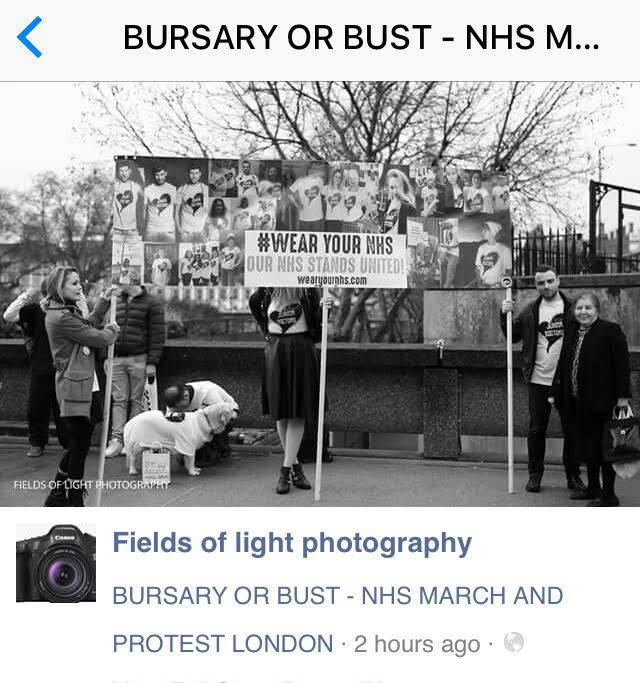 Fields of Light Photography coverage of #BursaryOrBust Nurses March, with #wearyournhs Bloc! 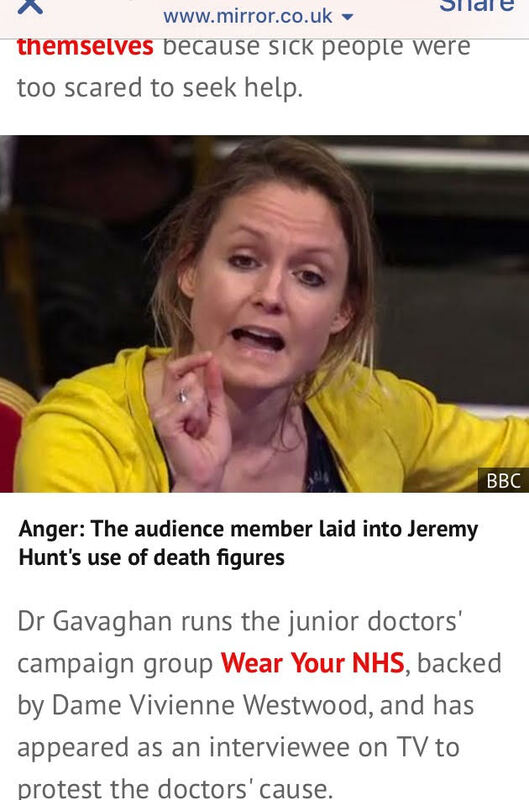 Wear Your NHS features in The Mirror 15.01.2016/ Question Time audience member nails Jeremy Hunt’s use of weekend death figures in the NHS. By Dan Bloom. 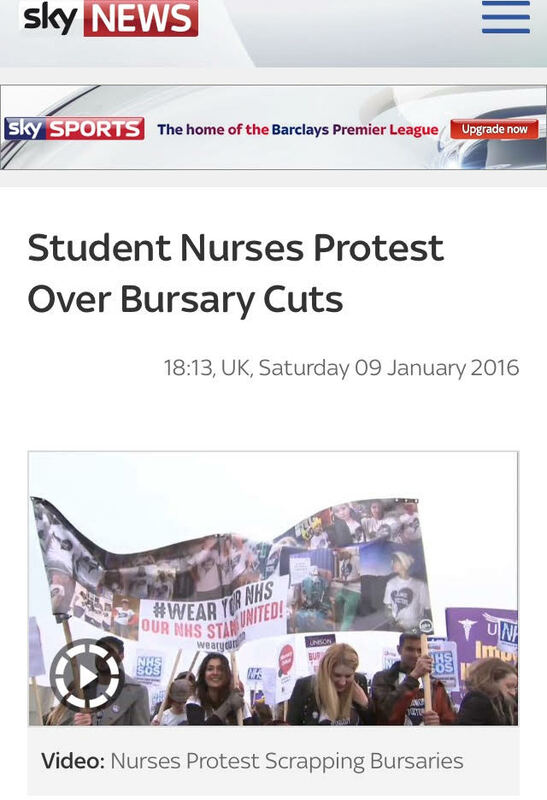 Asos Likes 12.01.2016/ Junior Doctors Speak Out About The Strikes. By Siam Goorwich. 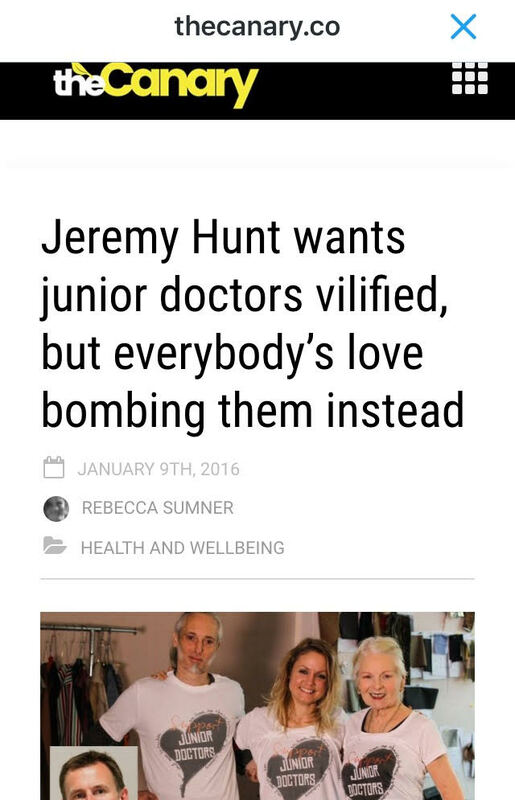 The Canary 09.01.2016/ Jeremy Hunt wants junior doctors vilified, but everybody’s love bombing them instead. By Rebecca Sumner.